Violet-purple flowers sit above foliage on tall stems which is different than most varieties that have flowers hidden within the foliage, in spring and fall the leaves are bronze-red in color then turning to green in the summer months. 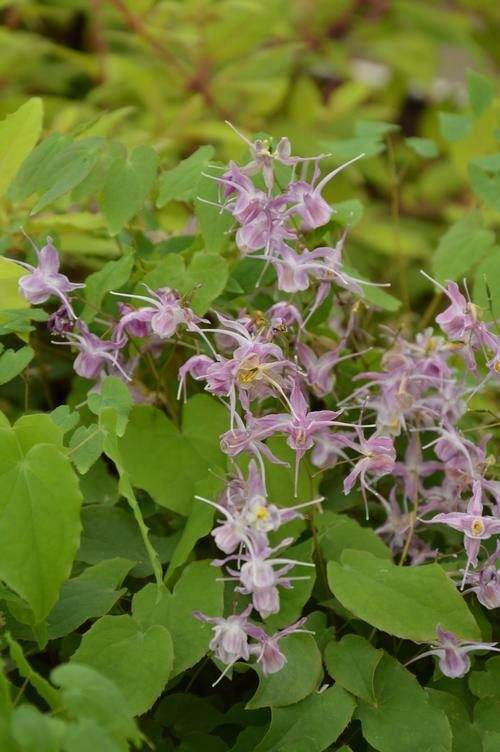 Epimedium form attractive clumps and are often used as a ground cover. They tolerate heavy shade and, once established, compete well with tree roots for moisture. Dainty star-shaped flowers bloom early spring on open wiry panicles.